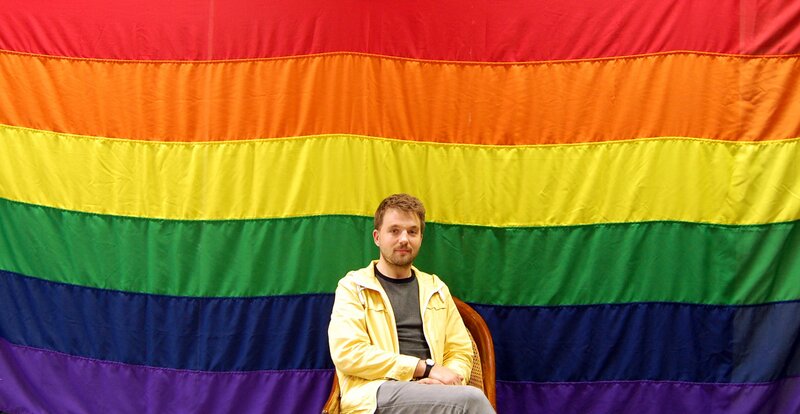 Assistant Collections Manager George Benson talks about hoisting the Rainbow Flag over the British Museum for Pride, and why its importance isn't just restricted to LGBTQ people. George Benson and the Museum's own Rainbow Flag. When I was young, the Rainbow Flag didn’t mean much to me. I don’t think I remember seeing it before I was 15 – my small hometown in Sussex was (to borrow a phrase) miles from the nearest lemon. I wasn’t to become aware of its significance until much later in life, which is a shame because I could have done with it a lot earlier. When I was young the British Museum didn’t mean that much to me either. ‘A big ol’ building with a bunch of stuff in it’ – my Year 6 teacher didn’t seem that enthusiastic about our class trip, but I suppose he was undeniably accurate. What I didn’t realise at the time about both of these seemingly unconnected things was what they meant, or could mean, to me – and millions of other LGBTQ kids. The British Museum has enormous significance, and not just because it’s big. It has a duty to represent all the cultures and societies throughout history through its collection. Want to know about ancient Greek goat herders? Alarmingly, you would not be the first to ask. Equally it represents the faces from all societies whose history was denied them – the unrecorded lives, the unwritten conversations, the unspoken romances, the denigrated, the disenfranchised, the downtrodden. The Museum is a museum of the world, for the world, and since you are part of the world you’ll find yourself here too, even if you’re queer. Originally it was eight colours strong – pink and turquoise were dropped to make mass production easier – and each colour means something. Pink, now gone, meant sexuality. Red means life, orange means healing, yellow means sunlight. Green represents nature, turquoise art, blue harmony, and violet means spirit. With this mix of colours in a harmonious and natural form, it also signifies the togetherness of the LGBT community. It has been at every single Gay Pride march ever since, and has recently been projected onto some of the most famous buildings in the world. 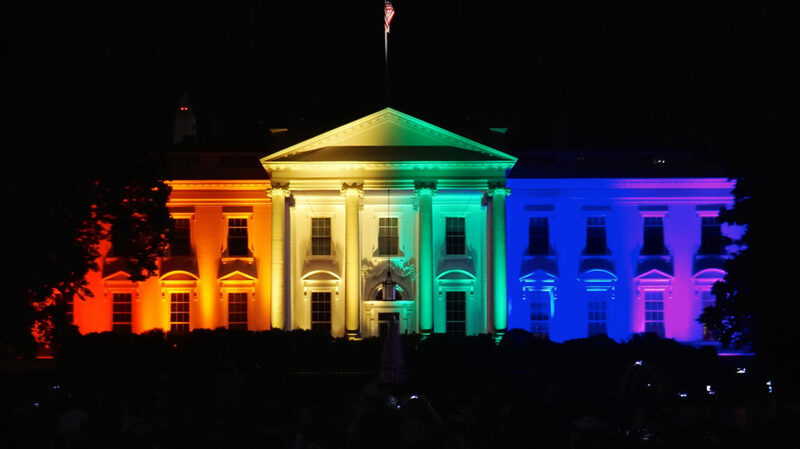 The Rainbow Flag projected onto the White House when the Supreme Court ruled marriage equality to be guaranteed by the Constitution. Photo: Ted Eytan. 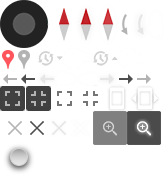 Image used through Flickr Creative Commons. So now it is the turn of one of the most famous buildings in London – perhaps the world. Over Pride in London weekend this year (7–9 July 2017) the British Museum will proudly fly the Rainbow Flag, for all its visitors to see, indeed for the whole world to see. The Museum and the flag have great symbolic significance and it is entirely fitting that they should come together this year, and hopefully for many years to come. What I said earlier about needing the Rainbow Flag a little earlier in my life basically meant I wish I had seen it somewhere to know I was not alone. The Museum can connect you to someone you never knew existed, and the Rainbow Flag can do just the same. Just as numismatists, archaeologists, Egyptologists and the generally curious can find like-minded people at the British Museum, a gay, lesbian, bisexual, transgendered or queer person can find solidarity with a fellow flag flyer. 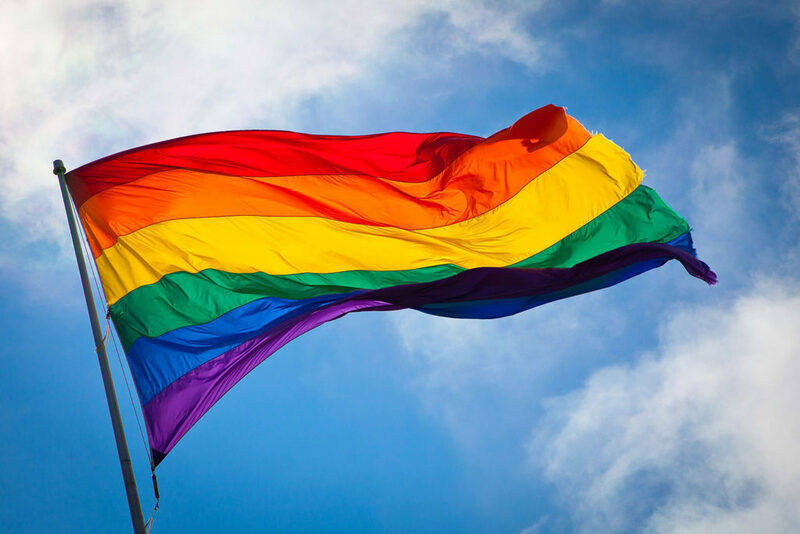 Just by seeing the flag and the Museum together, even for just a weekend, can have an enormously supportive effect on anyone, LGBTQ or straight, because it’s about society accepting who you are and accepting who you love. George Benson and the Museum’s own Rainbow Flag. George has worked at the British Museum since 2012 and been gay since 1987.